Our family is trying to expand our culinary knowledge. While we enjoy dining out, our schedules have become so incredibly busy that luxury isn't an option. Instead, we are experimenting with new dishes, flavors and cuisines at home. These cooking adventures leads to a lot of hand washing. Smart hand washing is important when cooking. Everyone knows about raw chicken and potential contamination. Still, washing your hands when seasoning food is just as important. No one wants the the vegetables to taste like a beef rub. In these situations, we are washing our hands a lot. Which has made us think about the kitchen hand soap. We are now using the Dial Miracle Oil Hand Soap. With all the constant washing and drying while preparing a meal, your hands can get dry or even brittle. The Dial Miracle Oil Hand Soap leaves my hands feeling smooth and nourished. I noticed that my hands feel hydrated even after multiple washing in a short period of time. Personally, one of the reasons why I enjoy the Dial Miracle Oil Hand Soap in the kitchen is that the fragrance isn't overpowering. When I'm cooking, I want to be able to smell the spices, ingredients and goodness of the meal that I'm cooking. If my hand soap overpowers my sense of smell, I could over season a dish or over cook an item. I don't want all my hard work to go to waste. With this hand soap, my hands feel good and I'm not overpowered by a fragrance. Dial Miracle Oil Hand Soap is available at most major retailers where other Dial products are available for purchase. Would you like to try Dial Miracle Oil Hand Soap in your kitchen? I have three (3) free product coupons to give one of my readers. 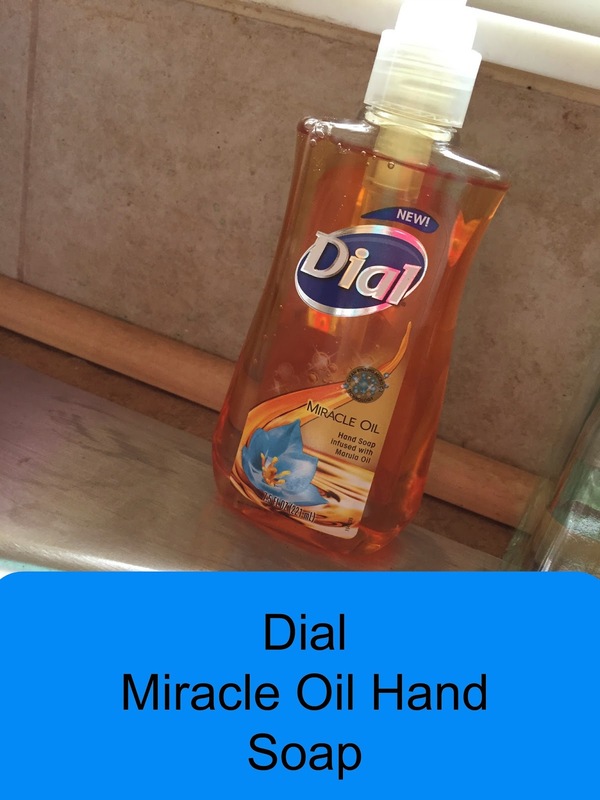 Disclosure: The Dial brand provided me with a sample of Dial Miracle Oil Hand Soap in exchange for a product review. All opinions are my own.